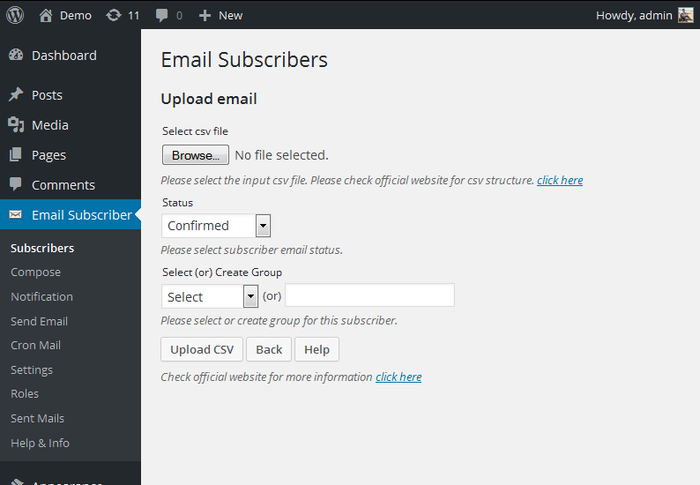 To view subscriber details, go to your plugin admin and click Subscriber menu (Refer Screen). In default it will show only emails start from A, B, C. To view all the emails, click ALL button in the top. We have import, export email address facility in this page. Click corresponding button to import or export your email address. also we have options to resend confirmation mail to subscriber. Click Add New from the above screen (i.e admin view subscriber page). There you have option to create new GROUP for subscribers. After you created new group you can use it in the widget setting. 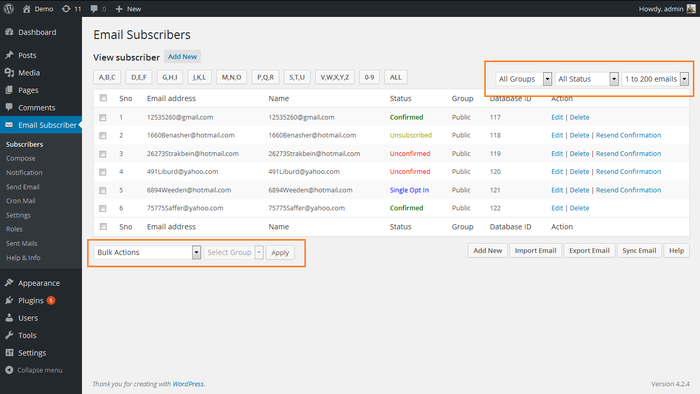 From version 1.4 we have bulk update option for subscribers group in admin view subscribers page. 1. Select emails to update subscribers group. 2. Select Update Subscribers Group from bulk action drop down. 3. Select new subscribers group name. 4. Finally click Apply button to update subscribers group for selected emails. This is a new option that allows you to download all users into a formatted text file (CSV) for later import on another site of yours, or for using particular emails of it in your ordinary mail client, or for migrating your WordPress site to another server. Click Import Email button to import/upload the emails into this newsletter plugin. 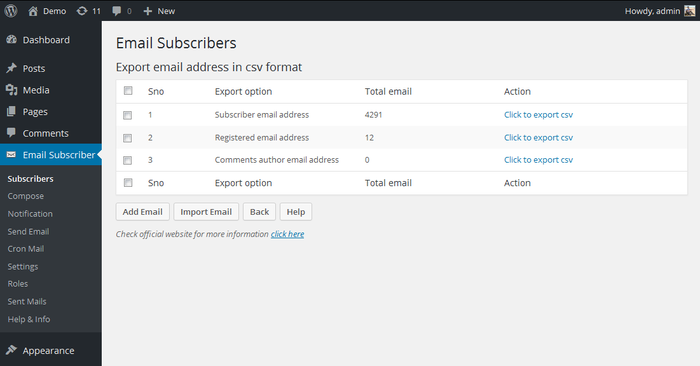 In the upload page we have options to upload the email address in the CSV format. As per the below screen shot create the CSV file and use it in the upload page. 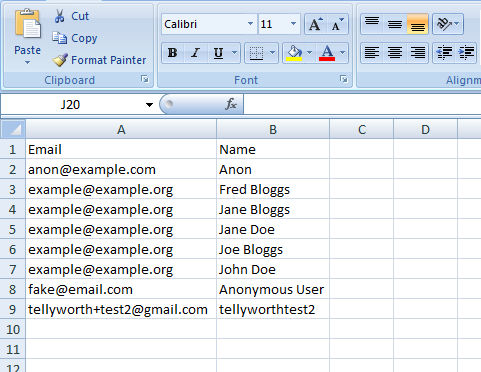 Click Browse button in the page to select the CSV file and finally click Upload CSV button to upload the emails.